You wish to rent an apartment in Tours, but you don’t want to waste time with the move and all the hassle around it? Study’O is made for you! With its 127 furnished apartments in Tours, our Study’O residence in Tours is the ideal solution for your rental. Our Study’O residence in Tours is ideally located, close to the schools and universities of Tours and the public transport, it makes your life easier. Make your choice for a furnished apartment in Tours from 19 m² studios to 35.5 m² one bedroom apartments. All our accommodations are equipped with a kitchenette, a sofa bed, a desk area, a bathroom with shower and toilet, and a broadband Internet connection. No need to worry about opening an internet account or to make arrangements for the water meter, Study’O does it all for you! 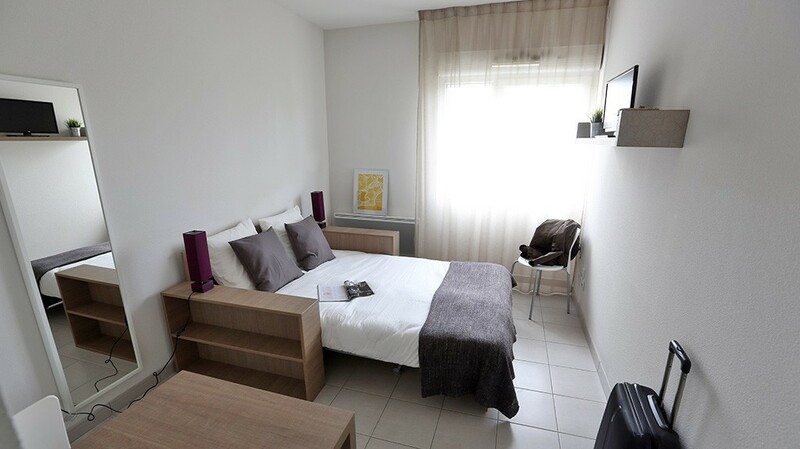 Don’t wait any longer and pre-book right now your furnished apartment in Tours on our website.